Established in 1984, Dr. Ridlen has been welcoming patients and providing quality general and cosmetic family dental care. 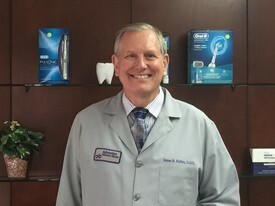 A graduate of Loyola University School of Dentistry, he has been practicing in Western Springs and has been affiliated with Hinsdale and LaGrange Memorial Hospital, which is now part of the AMITA Health Care Services. Dr. Ridlen is dedicated in giving quality care from infants to adulthood. He has a passion and enthusiasm for creating and maintaining beautiful smiles. He and his staff always have a genuine concern for their patients and offer a full complement of preventive, restorative and cosmetic services.